LiKE WORSHiP brings you an inspiring collection of worship songs from many of todays most gifted writers in this genre performed by top session musicians. Like Worship 2CD by Various Artists was published by Essential Christian in June 2014 and is our 3708th best seller. 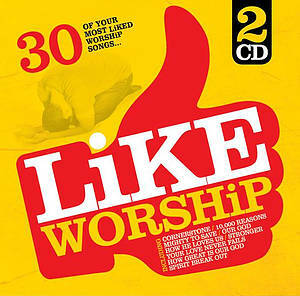 The ISBN for Like Worship 2CD is ELE2008D. Be the first to review Like Worship 2CD! Got a question? No problem! Just click here to ask us about Like Worship 2CD. Now Playing: Your Grace Finds Me (Matt Redman, Jonas Myrin) Your browser does not support the audio element.